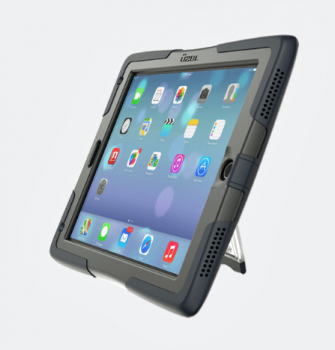 Rugged iPad Drop / Shock Protection. 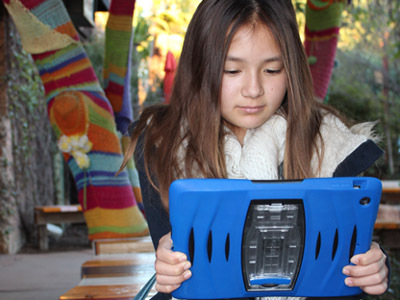 Rugged protection meets beautiful style with the ShockWave Case for iPad Mini. The new ShockWave Mini Case features an integrated kickstand for landscape and typing angles and built-in screen protector. Like all other UZBL cases, the Shockwave has cushioning ribs for the most shock absorbtion. 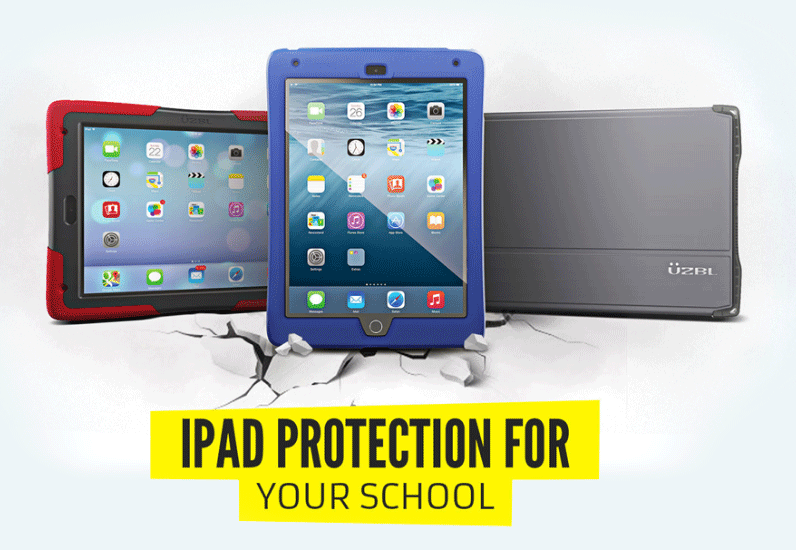 Rugged protection meets beautiful style with the ShockWave Case for iPad Air, Mini, & 2/3/4. 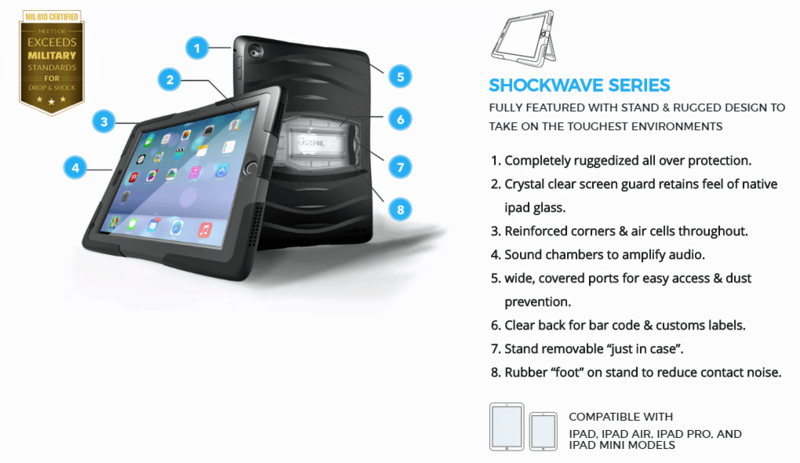 The ShockWave Case features a six-angle integrated kickstand and built-in screen protector. 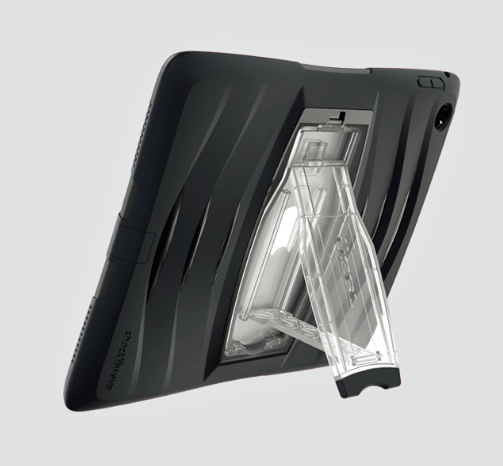 Like all other UZBL cases, the Shockwave has cushioning ribs for the most shock absorbtion. Forward facing audio for amplified sound - Covered buttons for better response. Tamper resistant to deter case removal by students. Replaceable stand with an optional hand-strap attachment. Rib & cell protection throughout with reinforced corners. Inquire about screen printing and embossing services for large orders.